The restaurant is all about fresh and healthy eating, and as part of the farm-like feel they are trying to create, the interior of the restaurant features natural wooden surfaces and painted white brick walls. 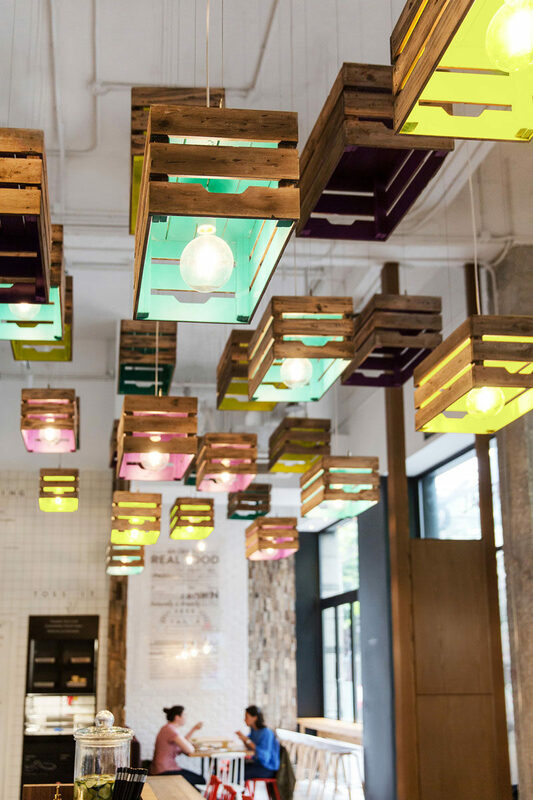 But the most eye-catching element in the space are the wood crates that have been painted in a variety of colors and feature as overhead pendant lighting. 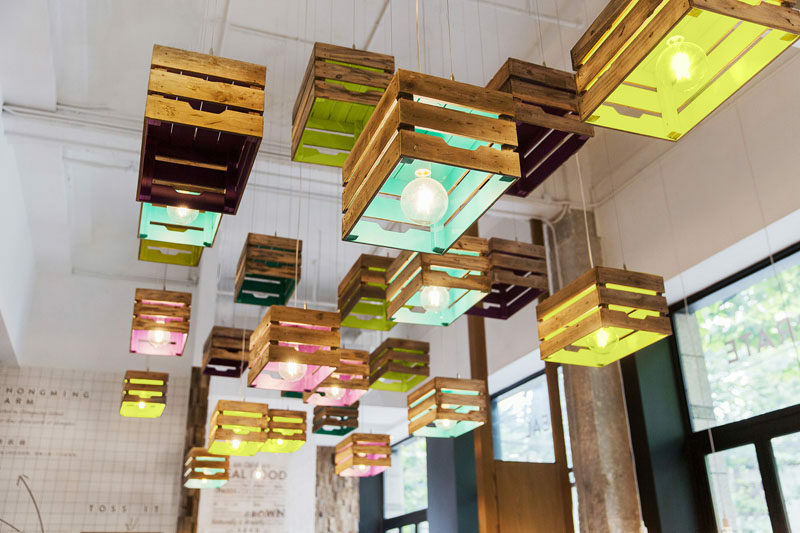 The introduction of crates, which are often used for transporting fresh fruit and vegetables, reinforces the brand message of the restaurant, and at the same time adds a creative and fun element to the space.